Did you know that next Saturday, the Saturday before Labor Day, is International Bacon Day? Yep! 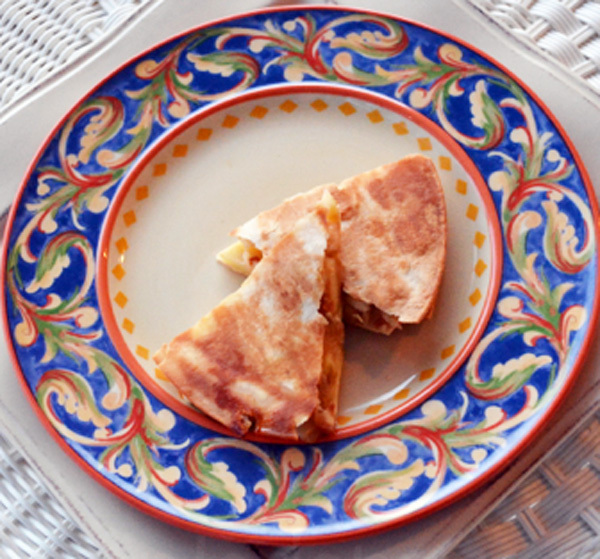 Celebrate with this sweet and Savory Apple Pie Quesadilla with BACON. Go for the good stuff!! 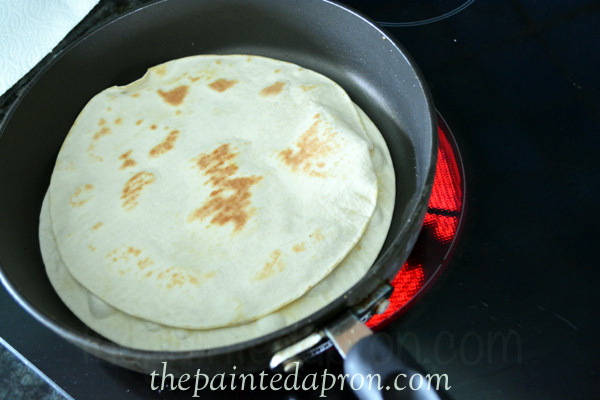 Fry tortillas in a scant amount of olive oil until just starting to crisp and brown. Remove to paper towels. 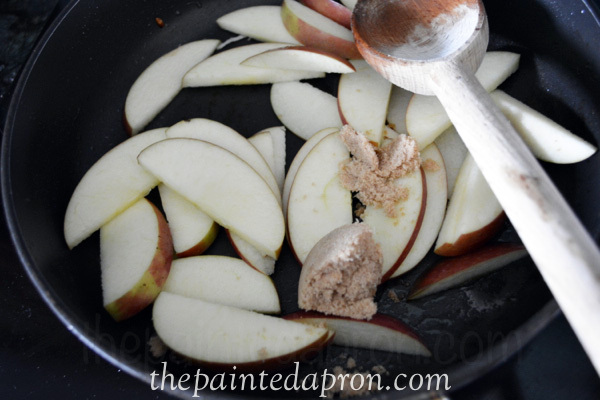 Add butter to pan, then apple slices and brown sugar. 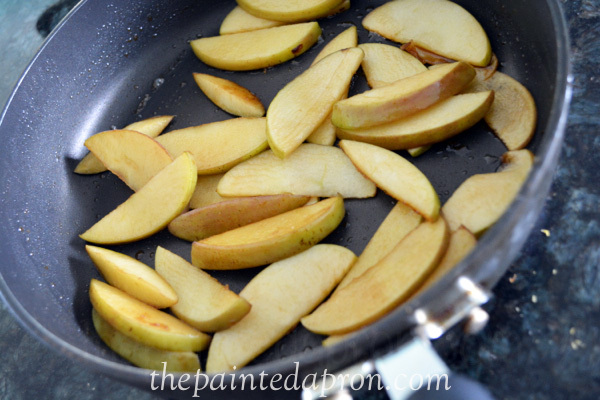 Cook and stir over medium heat about 5 minutes, until apples are soft and caramelized. 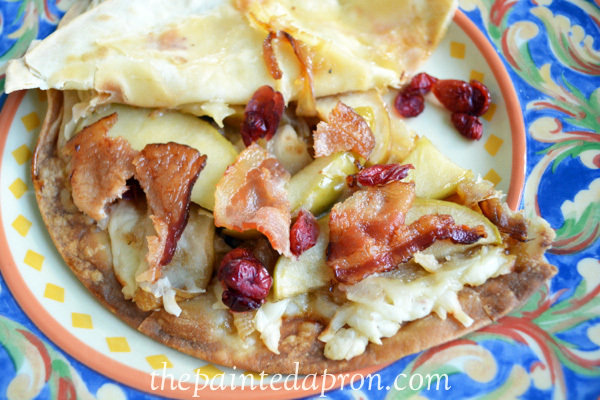 Put half of cheese on one tortilla and top with apples, cranberries and crumbled bacon. 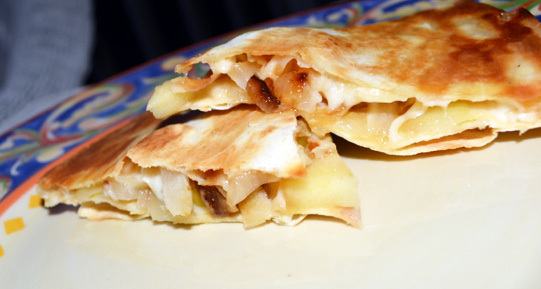 Top with remaining cheese and tortilla. Bake at 400 for 10-15 minutes until brown and melted. 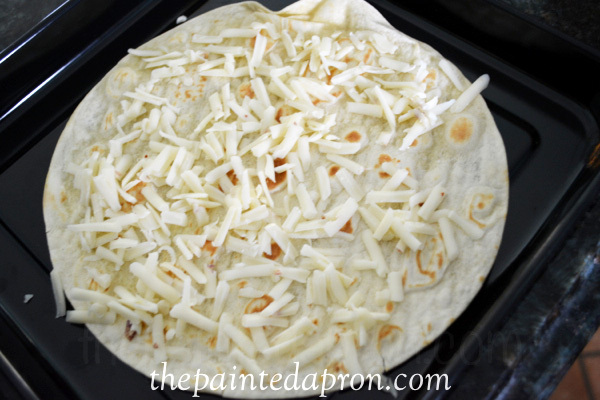 Let set 2-3 minutes before cutting. 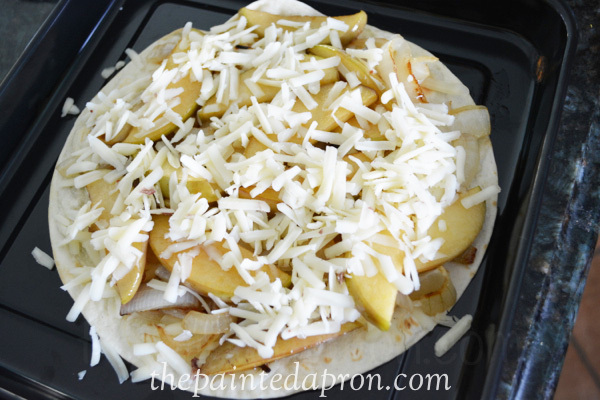 Cut into quarters or wedges. Makes up to 8 wedges. Increase ingredients for more servings. 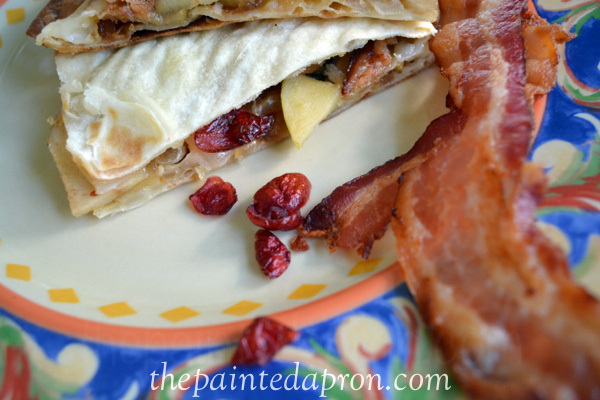 Here are a few more of my very favorite bacon recipes to keep you celebrating! Looks so good, Jenna and easy to do, too. 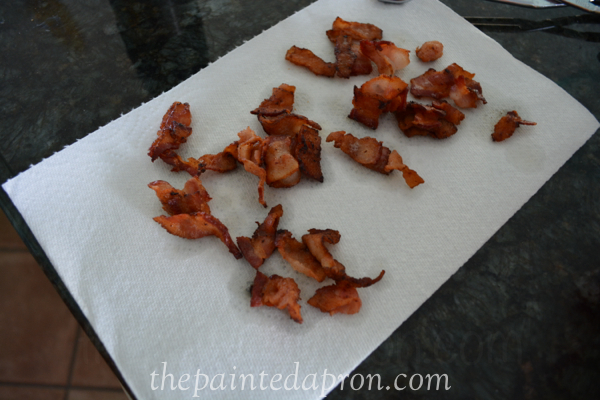 Any day with Bacon is a good day, in my book! 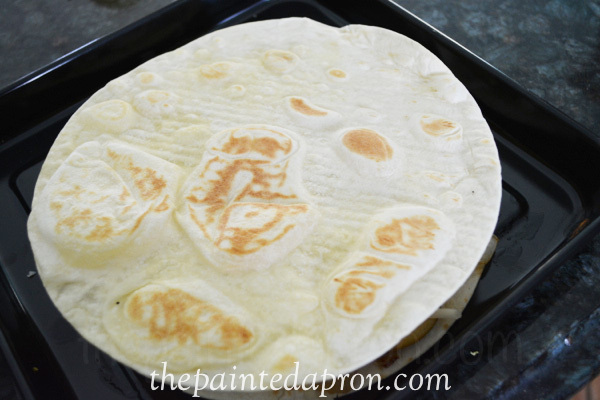 I think we are going to have this for breakfast today. Definitely a keeper. Aren’t you sweet! It’s a crazy combo but I loved it! 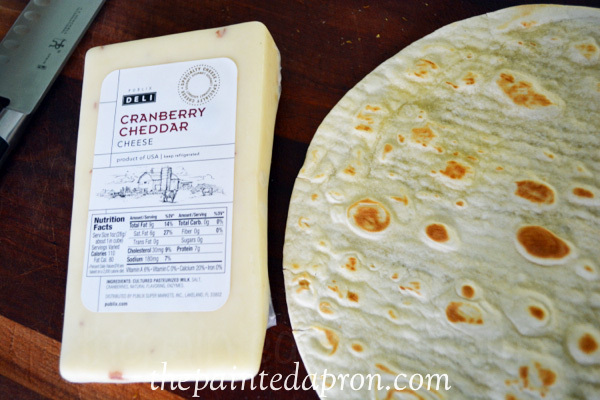 This looks delicious Jenna, and it has bacon and cheese so I could call it breakfast too 🙂 I think the additional cranberries would be a tasty addition regardless of your brand of cheese! It is almost time to pick apples in our orchard. This sounds like a tasty way to use some of them. This looks like something I would totally LOVE!!! Going to try it right away. Thanks! This combo looks amazing! 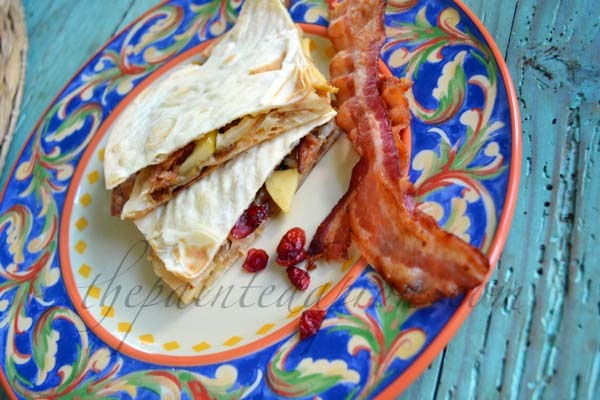 I’m looking for recipes featuring bacon for a roundup and would love if you shared this on Merry Monday link party. 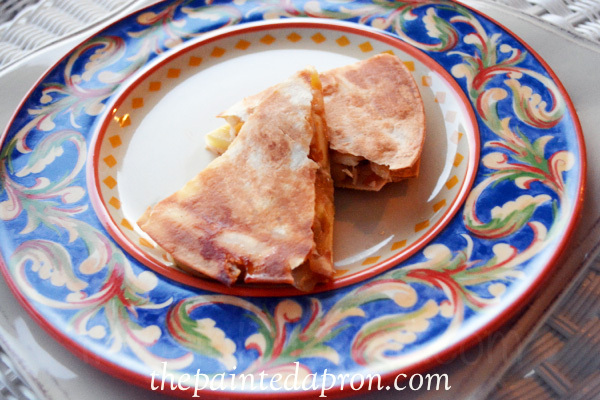 I love the combination of flavours in this quesadilla! I look forward to trying it! 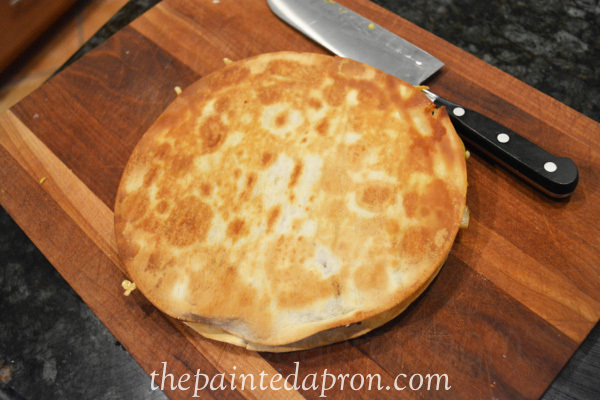 Hope you have a great week and thanks so much for sharing your awesome recipe with Full Plate Thursday. Your post has been pinned with the party!